Modern technology is not limited to the development of the interior trends. 3D wallpaper décor seems to be more and more popular, especially as people start to explore new ways to give depth to their tiny rooms. After all, who doesn’t want their room to seem more spacious? First of all, get clear about – What does the term 3D mean? This word means three-dimensional. Thanks to the 3-dimensional graphics, i.e. a drawing is created, which is visually inspected and has a volume, even if it is made on a completely flat surface. There is possibility to create an almost 100% 3-dimensional reality in your apartment / home using a 3D wall covering format. The 3-dimensional wallpaper image is created with the help of particles that reflect and refract the light falling on them. Designers advise in rooms with a similar finish is to choose and place light sources, strictly following the prescribed rules. Especially if it is a fluorescent 3D wall covering. Even if the whole thing that we know as 3D wallpaper décor may sound a little bit complicated – Vision Bedding can provide you with insight and information on this matter – it is rather simple to achieve! 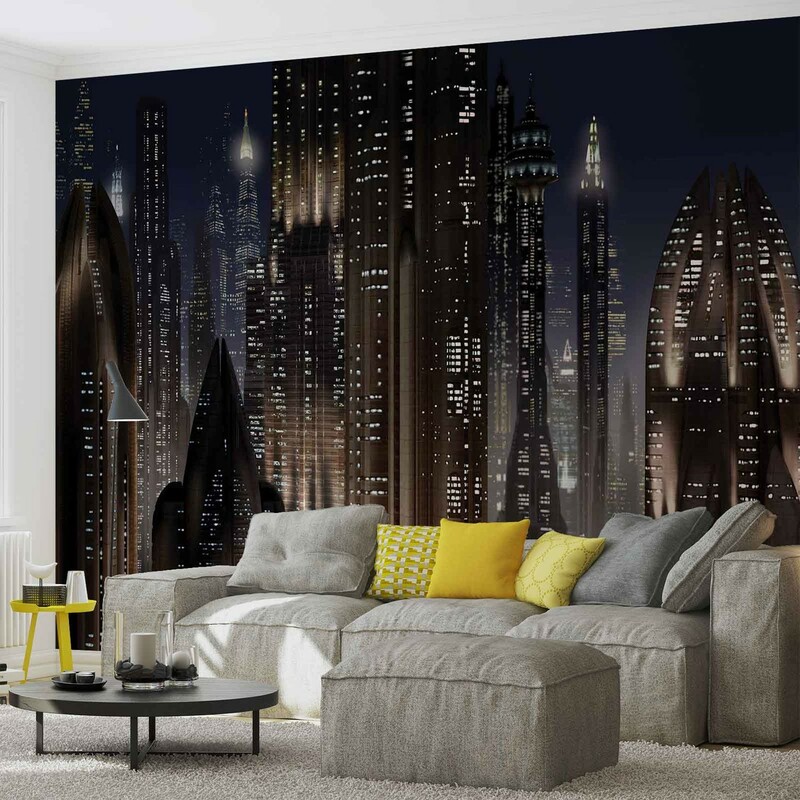 One of the main functions of 3D wallpaper for home is the expansion of space. It helps your home to look bigger! While we can use curtains, bedding sets, or murals to give our room more depth and a feeling of 3D, we can also rely on something as simple as wallpapers. Therefore, in the following paragraphs of this article, we’ll showcase some 3D wallpapers for home interiors that are perfect for anyone that wants to add depth to their tiny room. The all-time classic wallpaper that adds depth to any room is the aquatic wallpaper. You can use any high-resolution photo of any aquatic environment – and, upon entering the room, you’ll feel like you have an aquarium instead of a wall. Such an aquatic wallpaper can be placed on all of a room’s walls, giving the impression that you are in a capsule, on the bottom of the ocean. You may not have enough space in your room to fit a wall-sized bookshelf, but you can always give the impression that you have an extensive book collection in there. 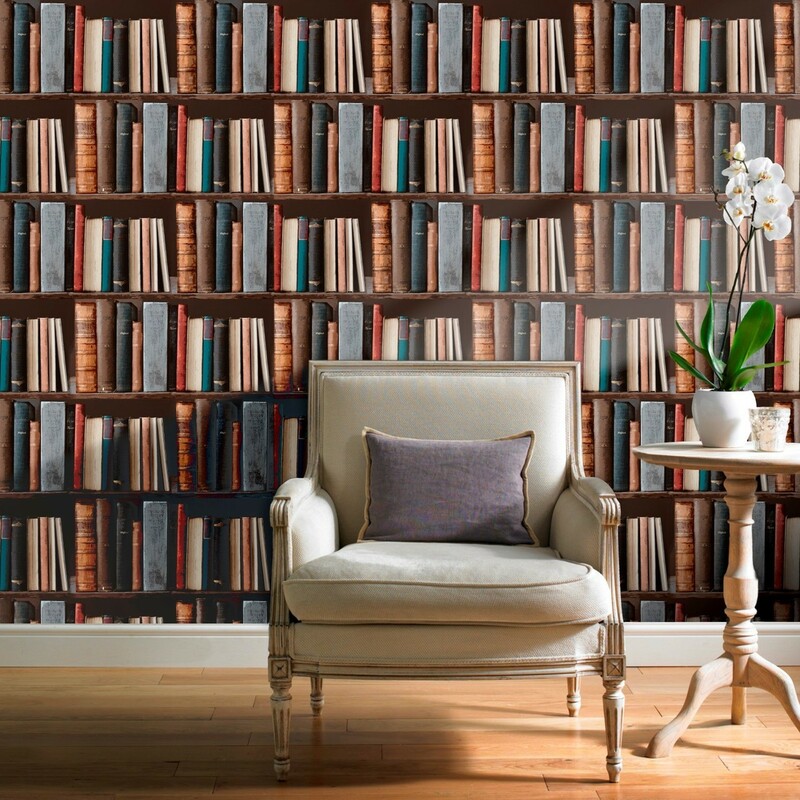 Just as its name suggests, you can have an entire library as your wallpaper. The room will feel like it’s much bigger and it will most likely seem that you can always reach out for one of the books and start reading. Any outdoor view/ scenery can make a great 3D wallpaper decor– you can have fields full of flowers or even a forest. You can choose any view, be it real or from one of your favourite movies – the next time you’ll be looking at your wall, you’ll feel like you’re about to cross from one world to another. 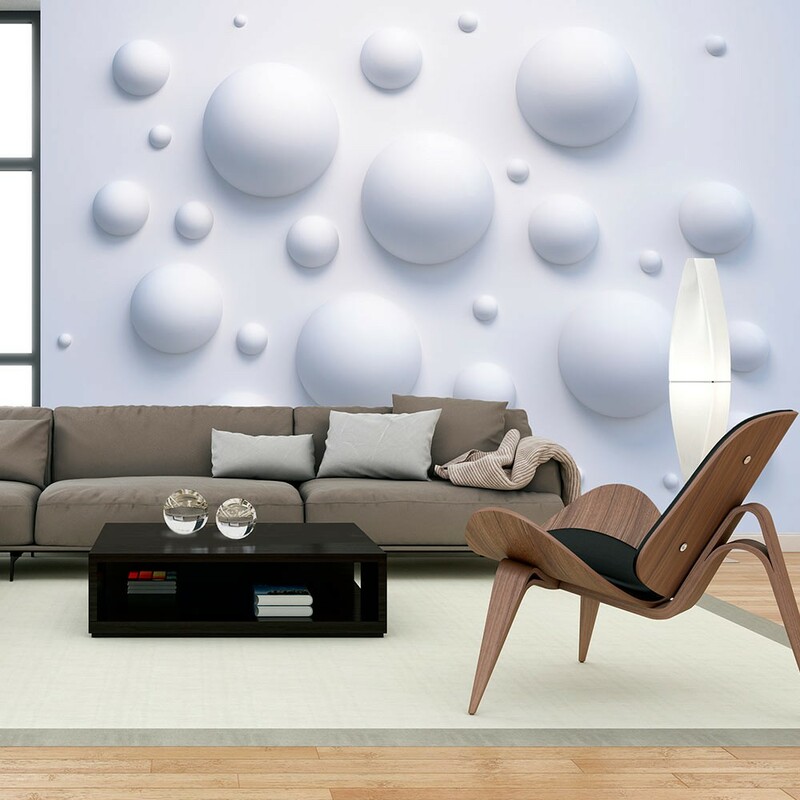 Bubbles of different sizes that are behind or on top of each other will always give the impression of depth and space. Such a wallpaper will trick your eyes, making you think that the bubbles are either sticking out of the wall or having their own space inside it. While a simple 3D wallpaper decor, it can definitely add depth to your tiny room. Whether a life like picture or just a simple illustration, as long as the birds and trees cast shadows, they will add depth to your room. A highly detailed illustration of a tree that seems to be sticking out of the wall with birds flying around it will make it seem like you can actually touch each of its elements. A city view wallpaper will give a sense of horizontal distance and length. Such a wallpaper will stretch the scenery, making the walls feel like an open space – in short, you’ll have the feeling that you can always pass through your wall and be in the city. A 3D geometric field wallpaper will give both the impression of wall depth and wall height. For example, if we take stacked cubes or such, they give a sense of verticality, making this type of wallpaper ideal for rooms with shorter walls. These were only a few of the ideas you can explore when it comes to 3D wallpapers for home interiors – but, essentially, any picture or geometric designs that give the impression of depth can be used as a wallpaper. Also, remember that these techniques can be used on floors as well – you can have either clouds or even an aquatic wallpaper on your floor if you want to give it even more depth. Previous PostPrevious Durability of Concrete | What are Factors Affecting It? Next PostNext Commonly Used Shackles and Pins for Material Handling at Construction Site!